The first date. It can be exciting, but it can also be nerve-racking — especially when you’re an introvert. You’re meeting someone who you probably don’t know well in a formal setting and hoping to leave a good first impression, while also evaluating whether they’re a good match for you. 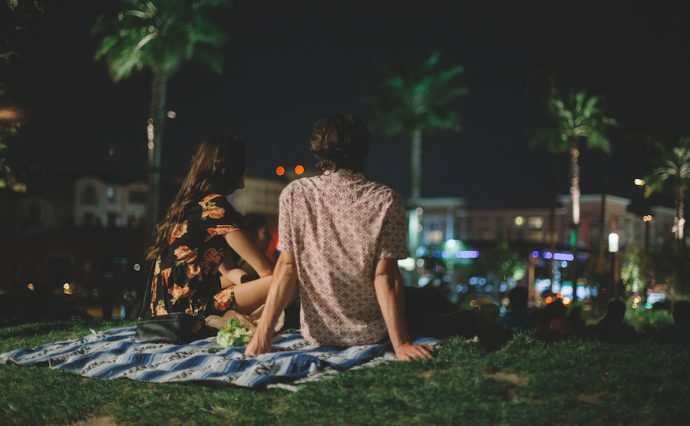 Having gone on my fair share of good, bad, and outright terrible first dates, here are my suggestions for introverts on how to have an awesome first date. Typically, I wouldn’t recommend getting dinner and/or watching a movie. It’s hard to break the ice on a dinner date, since there isn’t much you can do beside talk to each other (as an introvert, I’m not a big fan of small talk!). Movies don’t allow for a lot of interaction. You can literally go to a movie together, watch it, then end the night without getting to know your date any better. Don’t do dinner and a movie unless you already know the other person somewhat (for example, if you’re going out with a friend or classmate). If you’re meeting someone from an online dating website, getting a cup of coffee together is a customary first date. This allows you to meet them for the first time in a safe, public area in case they turn out to be the type of stranger that your mom warned you about. Also, this allows you to easily cut the date short if you discover that they’re not a good match for you (or to keep it going if you find yourself getting along well with them). I wouldn’t recommend Starbucks because the environment is a little too casual. Instead, try a local coffee shop with a more intimate setting. I’ve had good experiences playing mini-golf or bowling. It’s fun, playful, and a great way to build an emotional connection. You won’t have to worry about running out of things to say, and it’s easy to break the ice after you’ve watched each other make a few embarrassing plays. Other introvert-friendly date ideas include going to a museum, exploring a bookstore, or taking a walk in a park together. Good date venues allow you to interact with each other without making it seem too forced. In How to Win Friends & Influence People, Dale Carnegie wrote that becoming a good conversationalist involves talking in terms of the other person’s interests and listening to them when they talk about themselves. This shows you’re interested in their values, attitudes, experiences, and beliefs. You’re interested in who they are as a person. Try to find something that they would enjoy telling you about themselves. A great way to do this is by asking open-ended or “why?” questions. When they tell you something about themselves, listen to what they have to say. Then, ask some follow-up questions based on what they told you or relate it to yourself. Similarly, your date will also be looking to get to know you and hear about some of the things that get you excited. Tell them about some of the things that make you an interesting person. Do you have an awesome job? An adventurous story? Read something unusual recently? Tell them about it! The common advice you hear about dating is to “just be yourself,” which is sort of true, but also way too vague to be helpful. Instead, you should be your best authentic self. In other words, be the version of yourself that your friends and loved ones enjoy being around. How do you behave around the people you are comfortable with, and what is it that they like about you? As an introvert, you have strengths that are uniquely yours. You are more creative, a better listener, and more perceptive than many extroverts. Play to your strengths! Pop culture says to wait three days after the first date to contact the other person. This is dumb. One, this makes you look like a jerk. Two, they may simply assume that you are not interested in them and forget you altogether. If I liked her and had a great time, I sent her a text later that night. “Hey [her name], I had a really great time tonight doing [activity] and I’d really like to get to know you better. 😊” This lets her know that you enjoyed yourself, and, based on her reply, you can determine if she’s interested in another date. If you don’t feel that you’re a great match, don’t make further plans with them. This is something I struggled with as an INFJ personality type and a highly sensitive person. There were times when I felt only lukewarm after a first date, but she had a great time and I did not want to let her down. I let my people-pleasing tendencies get the best of me, and I agreed to go on a second date. And a third. And a fourth. And a fifth. At that point, it became much harder to break it off with her, and it made me look like a jerk. Finally, keep your first date lighthearted. It’s natural to feel nervous, and your date probably feels a bit nervous as well. Relax and try to have fun. Don’t beat yourself up if you happen to have a lousy first date…we’ve all been there. Bring your best authentic self to your first dates, and eventually you just may find someone who you connect well with.